We all know Oprah is balling out of control with a couple billion in the bank, but Celebrity Net Worth has yet to feature any of her extensive real estate portfolio. 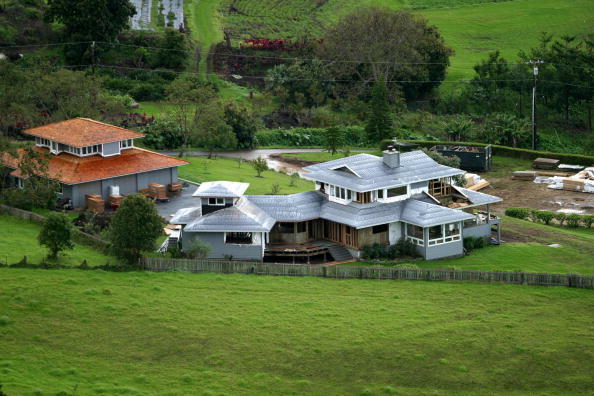 So to kick off how Oprah be living, we're going to start with her seaside farmhouse in Maui, Hawaii. Oprah's property manager had been scouting areas of Hawaii for years, looking for the perfect spot to set up a vacation home. He eventually found a remote location in the countryside of Maui, on a rocky hillside facing the ocean. While there were sparse homes found along the area, her property manager was worried that eventually condos would be built on the remaining space, ruining the scenery. So Oprah threw down and bought up the whole area. She first bought a 9 acre lot for $3.2 million, then 34 acres for $2.9 million and another 6 acres for $2.1 million. And that was just for to preserve the landscape of her new vacation home. 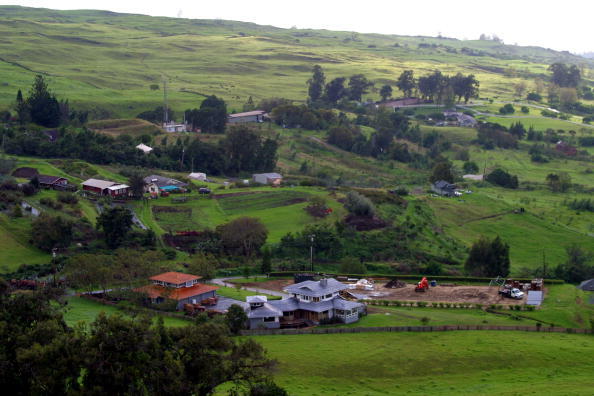 She additionally dropped over $15 million to buy up another 102 acres in the Lehoula area of Maui. Some land will be developed for residences and businesses, but most is still undeveloped or set aside for conservation. Related Link: Celebrity Homes on Celebrity Net Worth. Oprah's farmhouse home's style was inspired by her decorator who had a similar country-style home in Connecticut. This required a complete renovation of the existing home on the lot, with new ponies for the front yard. A nice feature is the massive porch than wraps the entire front of the home. Unlike the view of the countryside most porches would have, this porch has a view of the tropical Maui coastline. For the interior design, Oprah decided against cheesy Hawaiian decor and went with traditional American, to match the country styling of the home. Apart from pieces of American history decorating her home, she also imported many personal mementos, such as chests and tables she's had for over ten years. The kitchen is equipped with high-end steel appliances fitted in the classic country style. From her master bedroom is a huge balcony, which also offers the spectacular endless view of the Pacific Ocean. 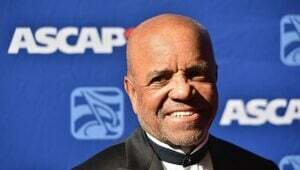 Photos courtesy of Oprah.com.